We wish our collegues every success in their respective appointments. It is an honour to have been selected as Head Girl and Head Boy for the academic year 2018-19. 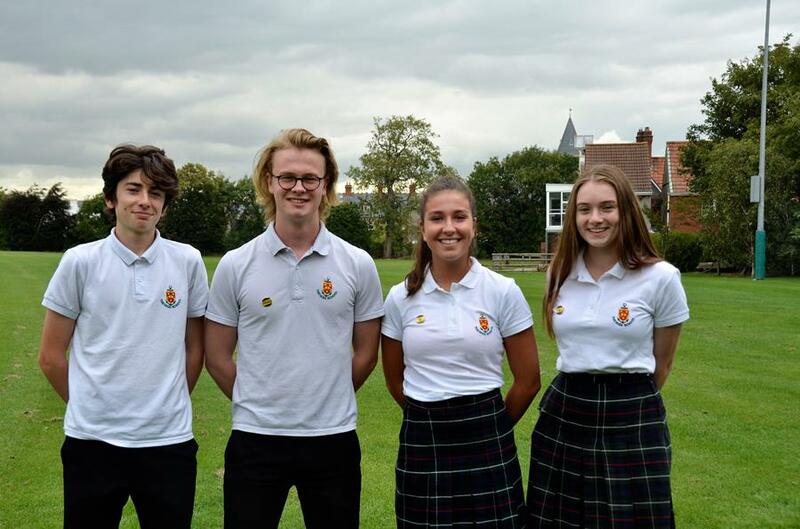 We look forward to co-ordinating with this year's Prefect body and committee to help promote happiness and well-being in the whole school. 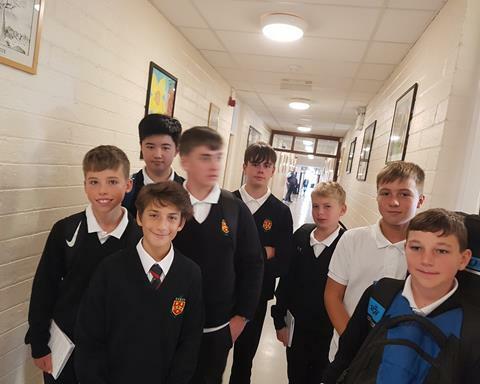 Welcoming the new pupils from Form 1 has been most enjoyable and it is great to see that they have already settled in to High School life: it only seems like yesterday that we were in their shoes. 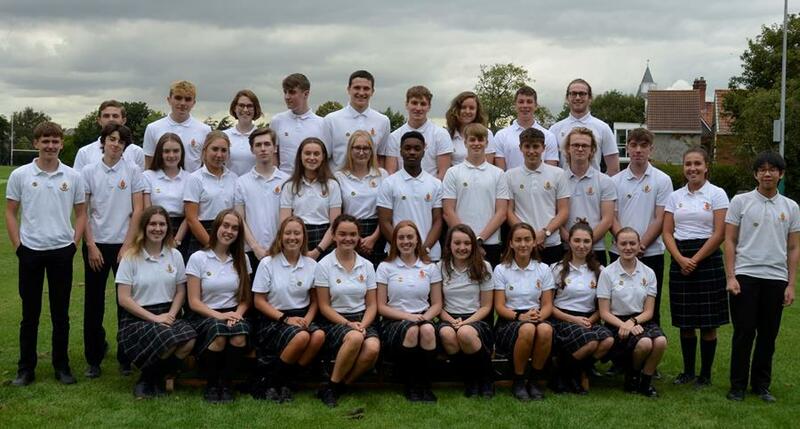 In conjunction with the Deputy Head Boy and Girl, Andrew Canning and Shona Carey, respectively we look forward to a harmonious and productive academic year. 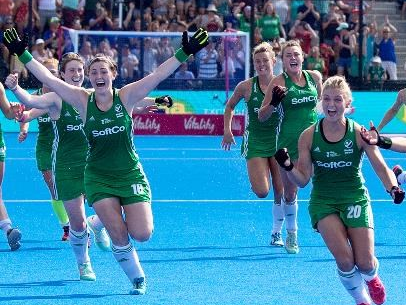 Congratulations to Nicola Daly (HSD, 2000-06) and Alison Meeke (HSD, 2003-09) who were awarded Silver medals having played key roles with the Ireland squad which reached the final of the Women's Hockey World Cup. 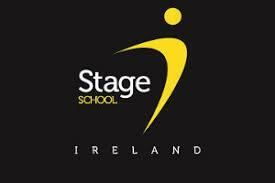 We wish our past pupils every success in future competitions. Congratulations to past pupil Oisín Faust (HSD, 2008-14) who recently graduated from Christ's College, Cambridge with a Distinction in his Master of Mathematics (MMath) degree. We wish him and all other past pupils of The High School every success in their current studies and future careers. 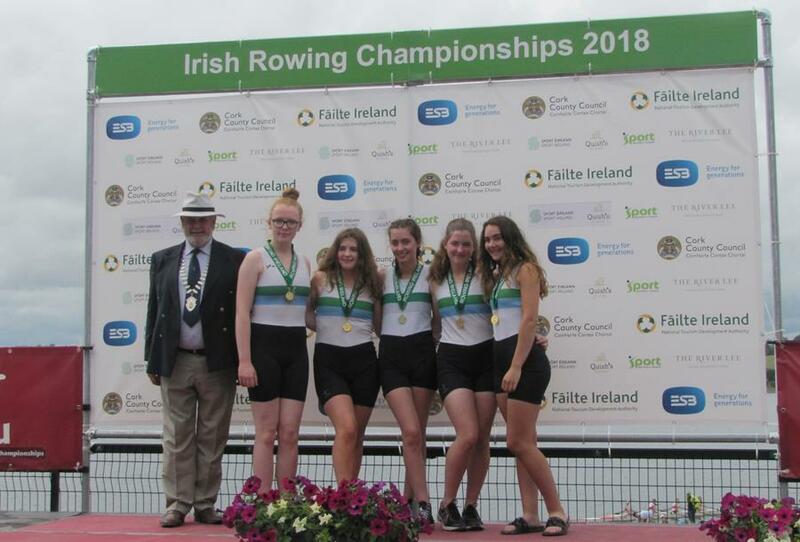 Congratulations to Sam Daly who represented Ireland at the Home International Regatta which was held at Inniscarra, Co Cork this summer. He also won bronze in the Men's Junior pair at the National Championships. Sisters Alison and Sarah Daly took home gold in the J16 4x+ and J16 8+ in the same competition and came fourth in the Junior 18 8+ losing out by just 0.4 of a second. Alison also came fourth in the Junior 16 IX. 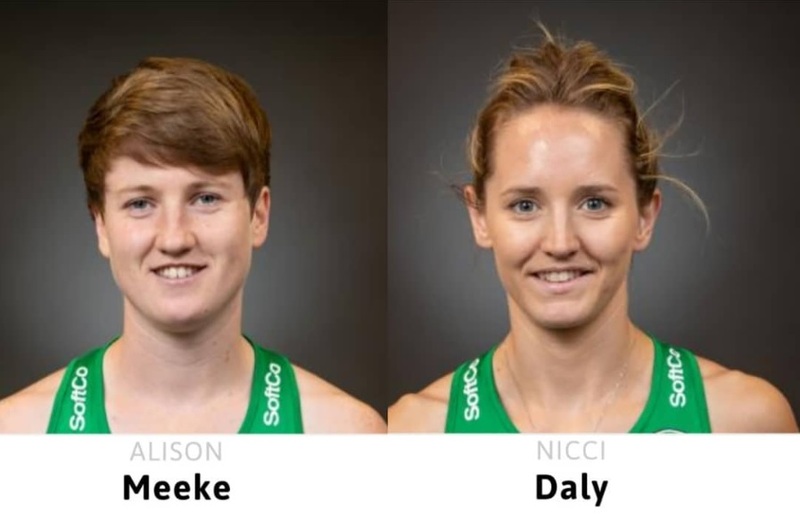 What a triumph for this rowing family! The Foundation Day awards are prizes awarded to pupils who have shown particular initiative in a whole-school context. To be eligible for consideration a pupil (or pupils) must be nominated in writing by two others. The nomination should include a short statement listing reasons for further consideration. The closing date for receipt of nominations by the Principal's Secretary is Friday 28 September. The awards will be presented to pupils at the Parents' Evening and Prize Distribution on Wednesday 24 October. 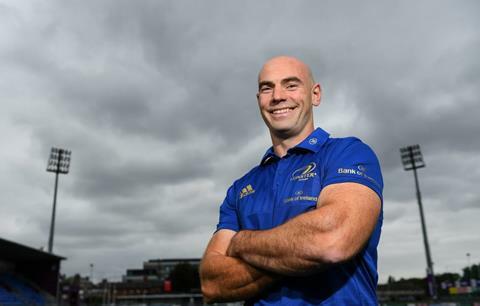 Congratulations to Hugh Hogan (HSD, 1993-99) who has been appointed to the senior coaching team at Leinster Rugby. 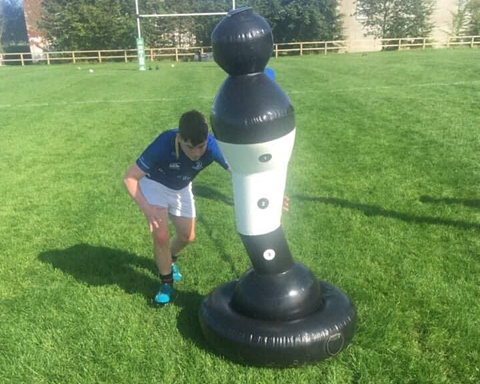 He has previously been Head Coach of Leinster U19s, Leinster U20s, and Leinster ‘A’ as well as coaching with the Ireland 7s programme at both U19 and senior level. We wish our past pupil every success in his new role. Congratulations to Orla Prendergast who has been selected to play for the Republic of Ireland U17 football team later this month against the Czech Republic. 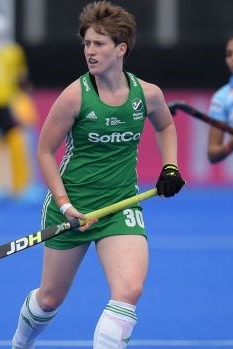 This is a fine achievement for Orla who also plays cricket for Ireland. We wish her every success in future competitions in both sports! 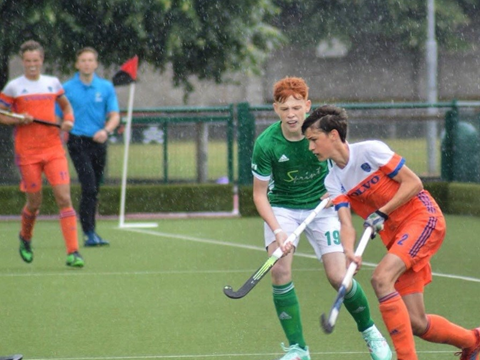 We were delighted to see Evan Jennings and Ben Whelan play for the U16 Ireland hockey team at the 6 Nations tournament in Cork this summer. Congratulations too to Alistair Empey and Harry Lynch on being selected for the U18 Ireland hockey team this summer. 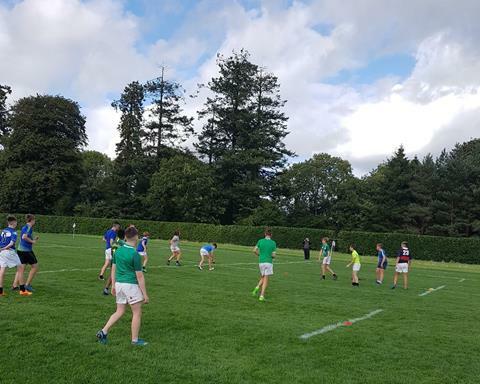 Pupils from Form 3 spent three days training with the Rugby Ireland Academy in County Kildare recently. 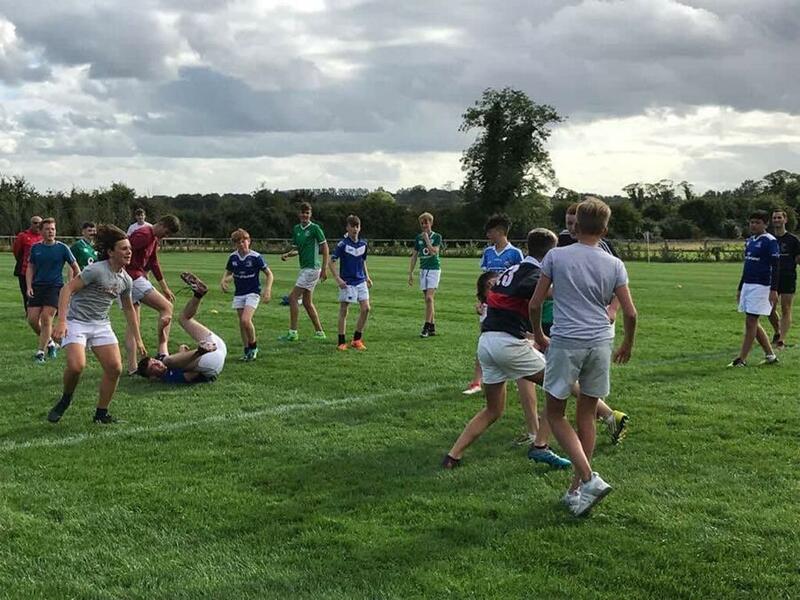 Junior players met early on Thursday 23 August and arrived at Killashee Hotel over an hour later. 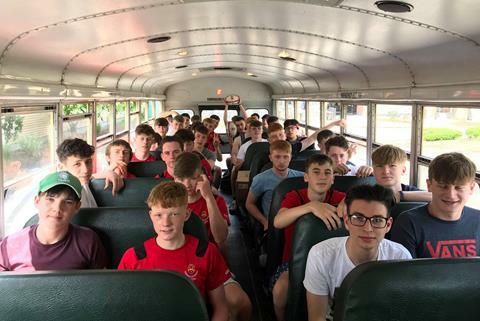 Activities involved pitch, gym, and swimming sessions with plenty of team bonding opportunites and some light skills work. 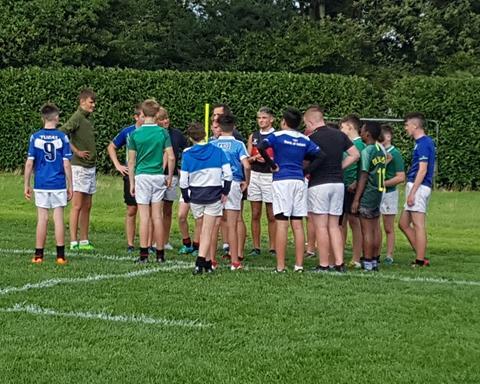 One of the highlights of the camp was the team enhancement training with members of the Irish army, which was tough but very rewarding. 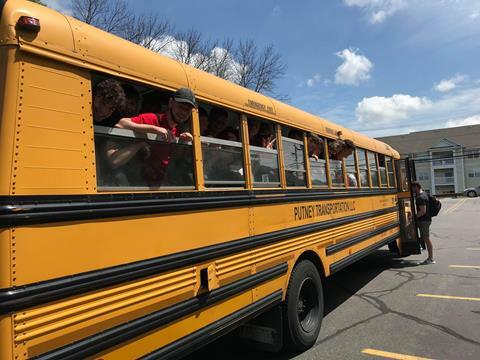 Pupils arrived home eager for the rugby season ahead. We wish them every success in all future games. Playing sport is a great way to meet new friends, learn skills, and stay fit. 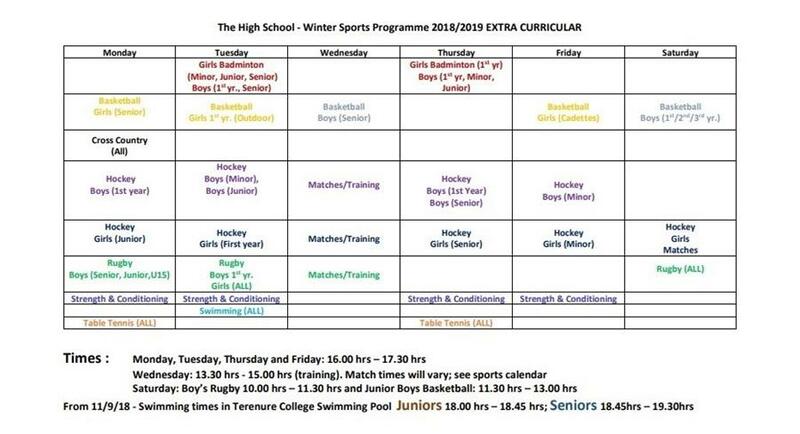 There is something for everyone to enjoy at The High School so why not give it a try? 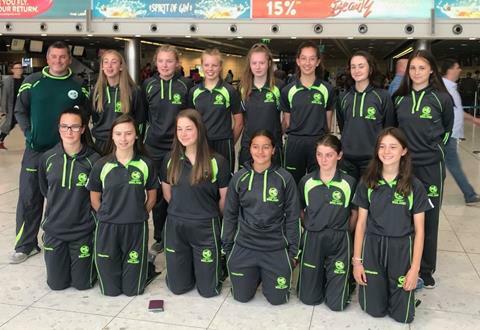 Congratulations to Ella Pasley who represented Ireland on the U15 cricket team this summer. 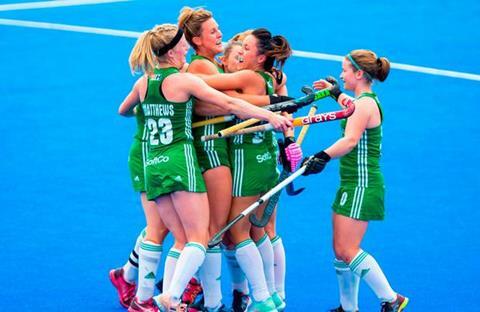 Orla Prendergast and Ellen Ridgeway (HSD, 2012-18) represented the Ireland A team this summer. 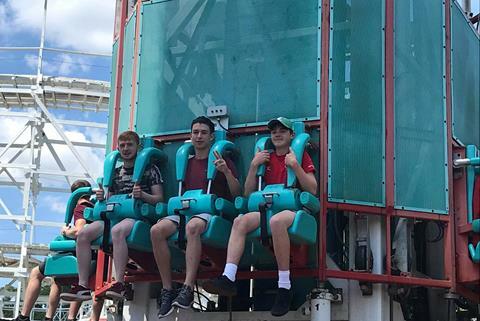 summer training with the Leinster team. Well done, Isobel. here or call 091 556274. It is essential that all property belonging to pupils - especially uniform and books - is clearly named and carefully stored. If pupils wish to make an appointment to recover Lost Property please contact Ms Quinn in B9. Guitar lessons are available for High School pupils. Those interested should make contact with Ms Shaw in the Office or Ms Bourke in the Music Department. Guitar lessons will be taught during school hours on a rotating basis. A Supervised Study programme is available for all pupils attending The High School. 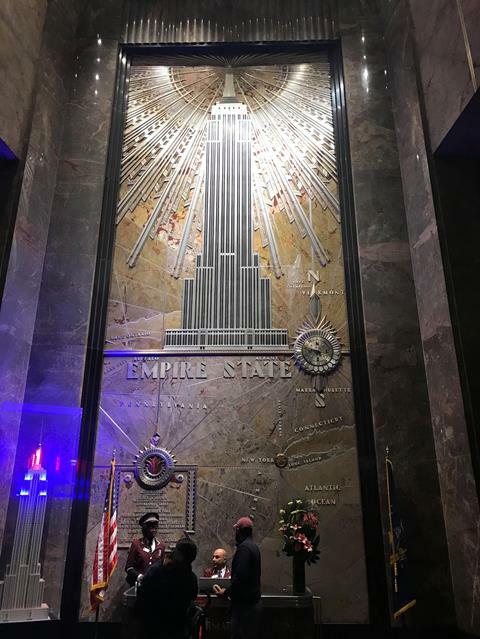 The programme is based in the Demonstration Theatre on Monday, Tuesday, Thursday, and Friday each week during term beginning at 4.00 pm and ening at 6.00 pm. Click the button below for further information and to download an application form. Parents play a valued and essential part in our school community here at The High School. There is a very active Parents' Association who are holding their AGM is on Monday 24 September at 8pm in The Reynolds Hall at the school. It is an important date to put in your diaries. Parents are most welcome to attend.